After I cut the curve on top of one of the panels, I saw a big gaping hole in the top. I took me a while to figure out exactly what happened. To my credit, it’s from work that I did cutting the grooves in the panel a few months ago. So basically, I forgot the mistake I had made. Back when I made this mistake, I had accidentally plowed a groove deeper than I what was needed. 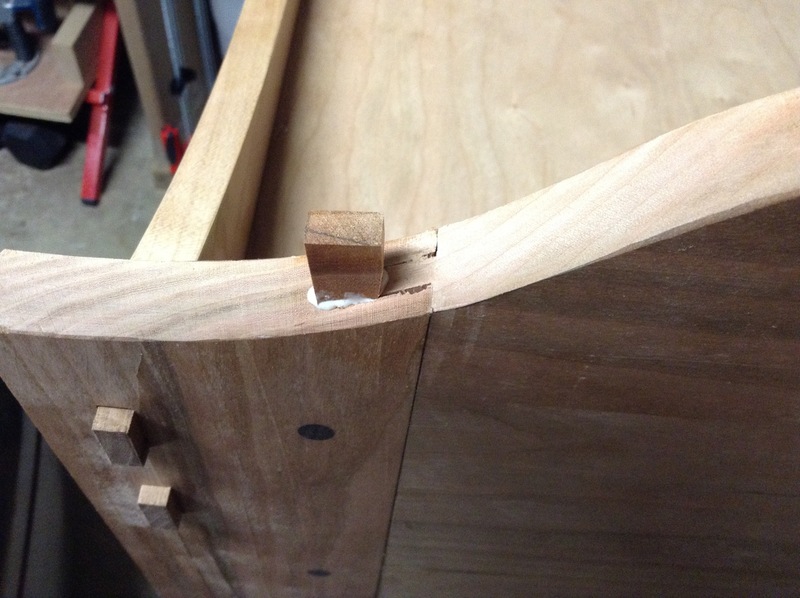 Therefore when I cut the tenon for the mating rail, it didn’t fill the entire groove. This fix is fairly straightforward. 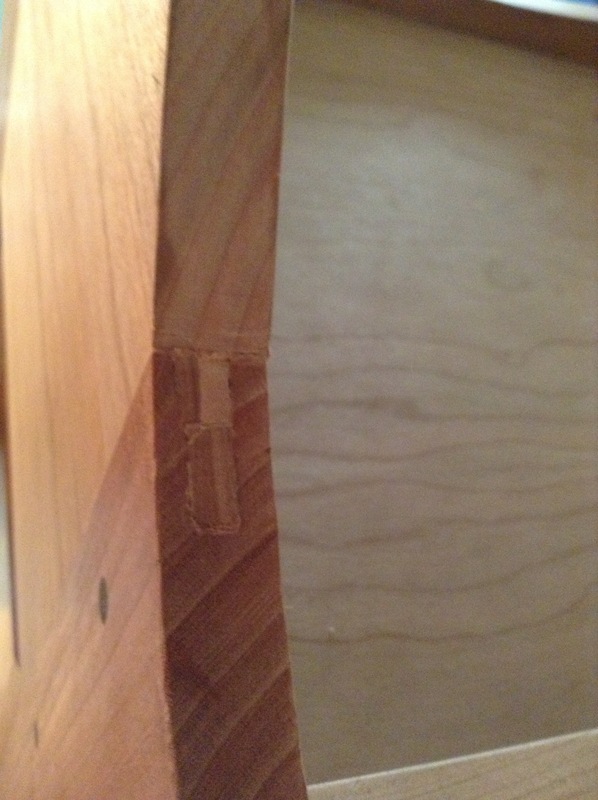 Cut a wedge to fit matching the grain pattern and trim to fit. 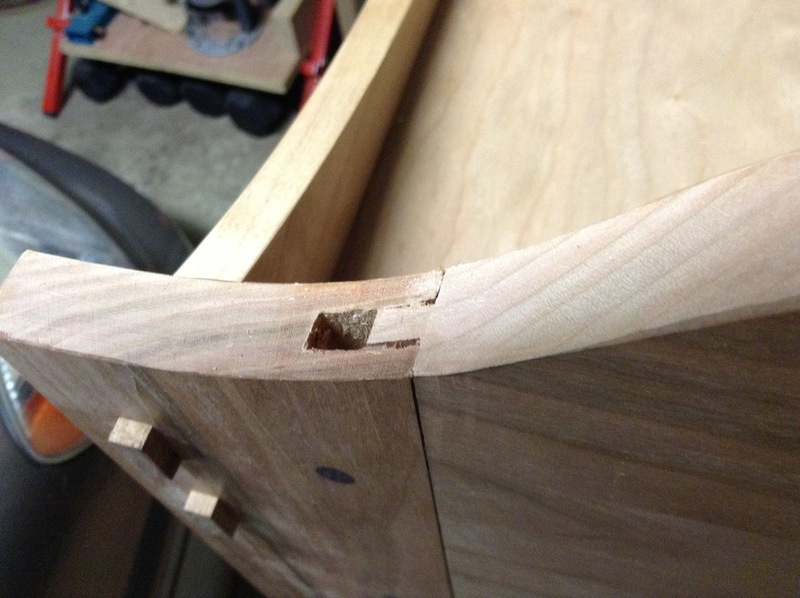 This entry was posted in Chiffonier, furniture, hand tools, VCF, woodworking and tagged cherry, chiffonier, furniture, hand tools, mortise and tenon, wedge, woodworking by villagecustomfurniture. Bookmark the permalink.